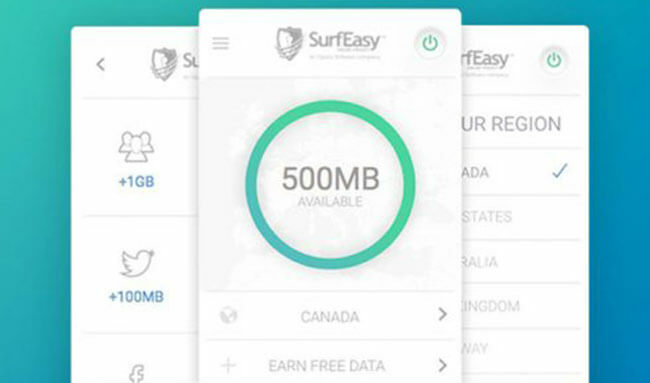 SurfEasy is an excellent VPN service provider based in Toronto, Canada. It has already won the hearts of millions of users around the world thanks to its magnificent service and high-level protection. In order to learn more about its advantages and disadvantages, read our comprehensive SurfEasy review. Downloading and installing SurfEasy VPN is pretty easy, even if you’re not especially tech-savvy. Signing up isn’t completely anonymous, though, as SurfEasy requires that you create an account using your email address. When you install SurfEasy, you can make use of its many useful features. The SurfEasy client is very intuitive and user-friendly. All of the options are easy to find and use. The wizard provides you with instructions for every new feature you encounter. The client also keeps you informed about the location of the server you’re connected to, the number of blocked trackers, and data usage. It also features a map that shows your location. SurfEasy offers access to more than 1000 servers located in 28 world countries. Ultra-fast servers around the globe are at your disposal 24/7 with SurfEasy. It operates servers in the United States, the United Kingdom, Brazil, Norway, Japan, Australia, and over 20 other countries. All customers get unlimited speed whereas the number of server locations you can use increases together with the price of your subscription. Free version users may have some problems with the speed. Users who opt for one of the paid plans don’t have to worry about speed interfering with their Internet connection. Paid plans come with unlimited bandwidth. If you opt for the free version, you get 500MB per month, but you can also earn extra MB by doing simple tasks like confirming your email address, liking SurfEasy on Facebook, or just watching a video. SurfEasy is compatible with the most popular platforms. You can use it on any device that uses Windows, Mac, iOS or Android. SurfEasy also offers extensions for Chrome and, of course, Opera, as it has been a part of the Opera software family from 2015. It provides an extension for Amazon as well, which is a rarity among VPN service providers. You can use SurfEasy on up to 5 devices simultaneously. Although many VPN providers have a similar offer, they don’t let you connect 5 devices at the same time when you use the free version of their app. 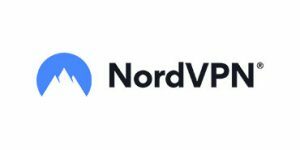 SurfEasy isn’t just easy-to-use and compatible with almost any of your devices, it also offers a few extra perks other VPN service providers don’t typically provide. First of all, SurfEasy allows torrenting. All users of the Ultra VPN plan (for more information check the Pricing Options section of this SurfEasy review) can enjoy unlimited torrenting at unlimited speed. SurfEasy makes uploading and downloading fast and hassle-free. Thanks to its dedicated servers, all of your torrent activity remains secret, safe, and quick. SurfEasy features an enhanced tracker blocker that keeps you safe from snooping and tracking. 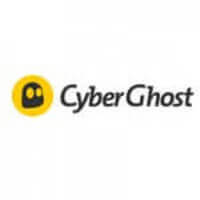 It blocks tracking cookies that advertisers use to follow your Internet surfing, enabling you to browse the Internet anonymously. In addition to its excellent tracker blocker, SurfEasy has recently introduced an ad-blocker feature for iOS9 that protects you from annoying online ads and protects your data at the same time. SurfEasy is a perfect VPN provider for all of you who are trying to avoid geo-restrictions too. It fights online censorship fiercely thanks to the great number of servers located around the globe. SurfEasy gives you an opportunity to access Facebook even if you’re in China or stream TV shows from US Netflix in Georgia. It masks your real IP address in just one click so you can open any website you want without any trouble at all. Moreover, SurfEasy has a strict no logs policy. It doesn’t save any of the information you share online and doesn’t keep any logs of your online activity. This way, your online presence remains private and no one can see what websites have you visited. For additional protection, SurfEasy provides SurfEasy Wi-Fi Security. It activates automatically the moment you connect to an untrusted Wi-Fi network, keeping you safe even if you forget to turn on your VPN. SurfEasy offers professional customer support that can help you with any problem or question. The downside is that it isn’t available 24/7. However, it is available every day from 8 a.m. to 8 p.m. EST. There are support centers in the US, Canada, and the UK. In case you have some common question about SurfEasy, you can browse the videos or blog section. SurfEasy offers one free and two paid plans. The free plan is limited in terms of bandwidth (500MB) and server access, which results in slower Internet speed as well. However, you can use it on 5 devices at the same time. The paid plans include Total and Ultra. The Total plan, which comes with unlimited bandwidth, costs $4.99 per month if you opt for the monthly subscription. If you choose the annual subscription, it is $3.99 per month. 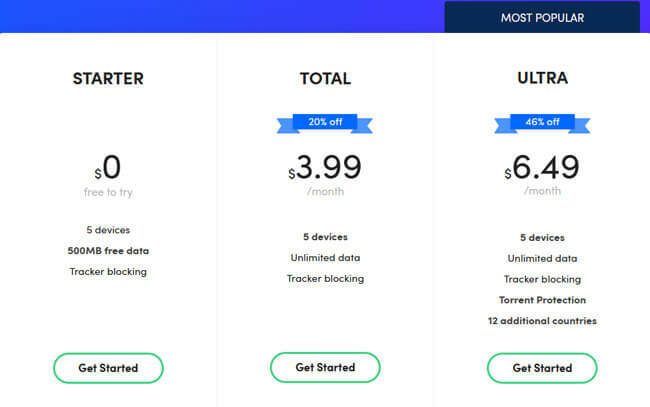 The Ultra plan, which comes with unlimited bandwidth, additional server locations, and torrent protection, costs $11.99 with the monthly subscription or $6.49 with the annual subscription. Both paid plans have a 7-day free trial and a 100% money-back guarantee that is valid for the first 7 days after purchase. Unfortunately, SurfEasy doesn’t accept BitCoin, so you have to pay for your subscription with your bank card or via PayPal. At the end of this SurfEasy review, here’s a quick overview of the features that wowed us and the aspects of the service that could use some improvement. Our ratings are the result of an objective and independent evaluation of SurfEasy, generating the final rating that reflects the overall quality of the company. Ratings may change as the service changes. SurfEasy user rating based on 3 user reviews. We found 0 verified SurfEasy discounts for April, 2019. There are no SurfEasy coupons or discounts right now. If you like SurfEasy but want to explore other options, take a look at our handpicked SurfEasy alternatives below and find a similar VPN that satisfies all your needs. Discover the full range of possibilities SurfEasy offers and become an advanced user in no time with our beginner-friendly SurfEasy guides. Whether you are interested in secure torrenting, unblocking Netflix, setting up SurfEasy on all your devices or you simply want to learn more about SurfEasy, you can find verified information and clear instructions in our SurfEasy guides below. Is SurfEasy Safe - providing a clear-cut insight into data encryption and the additional security features of this VPN.